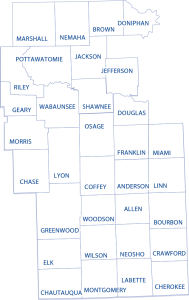 Serving 33 Counties in Eastern Kansas! ERC Resource & Referral, Inc., doing business as Child Care Aware® of Eastern Kansas, supports the development and learning of young children by offering programs and services that improve the quality and accessibility of child care for working families. We supply parents with information about choosing high-quality child care programs and referrals to child care providers that match the criteria they supply. Providers who list their child care programs with our agency are contacted on a quarterly basis to update vacancy information, assuring that referral lists are accurate for families. We can also offer invaluable support to child care providers through consultation services, classes and resources to support high-quality early learning programs. Through our child care referral service, we help business owners and communities by assisting families in finding quality care, allowing parents to continue working and building stronger communities. 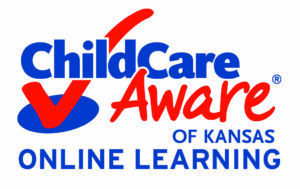 To learn more about Child Care Aware® of Eastern Kansas, visit our website at http://east.ks.childcareaware.org.